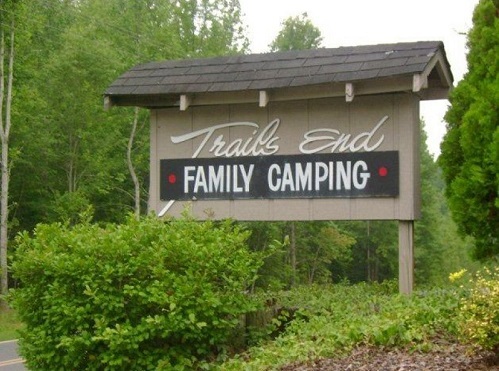 Trails End Family Campground is conveniently located in the heart of North Carolina's Piedmont Triad, next to the North Carolina Zoo. Whether you are planning an extended stay, visiting the NC Zoo, are on your way to a NASCAR event, or just passing through, this beautiful family and pet-friendly campground is a beautiful place to stay! They offer both full hook-up and primitive campsites situated around a private lake stocked with brim, crappie, catfish, bass and carp.